Just to the east of town lies a small wetlands area called Pantana. The area teems with wildlife, including more than 100 species of birds and dozens of other plant, fish, and animal species. 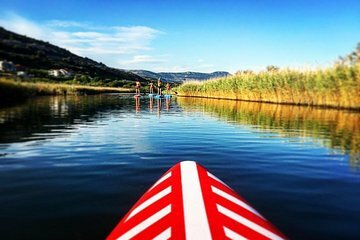 Explore the area on standup paddleboards. Before and after the tour you are welcome to hang out at the beach area to sunbathe, watch kitesurfing, or enjoy a drink at the bar.